It is always fun to learn more about music because it's also about the culture and people. The lectures, workshops, and demonstrations can be provided publicly or privately. 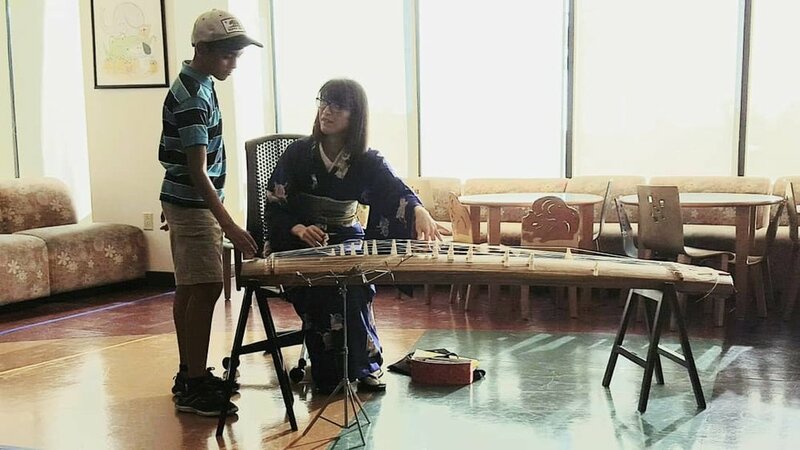 You will learn about the koto music, the instruments, and its history and culture. You will see how all musics are related and influencing each other from the session. Of course you will hear some koto music live, and you will try the koto yourself if you would like. Anybody can enjoy the opportunity from toddlers to seniors. This could happen at libraries, schools, universities and colleges, community centers, senior houses, private houses and more. If you are interested, please feel free to contact us!